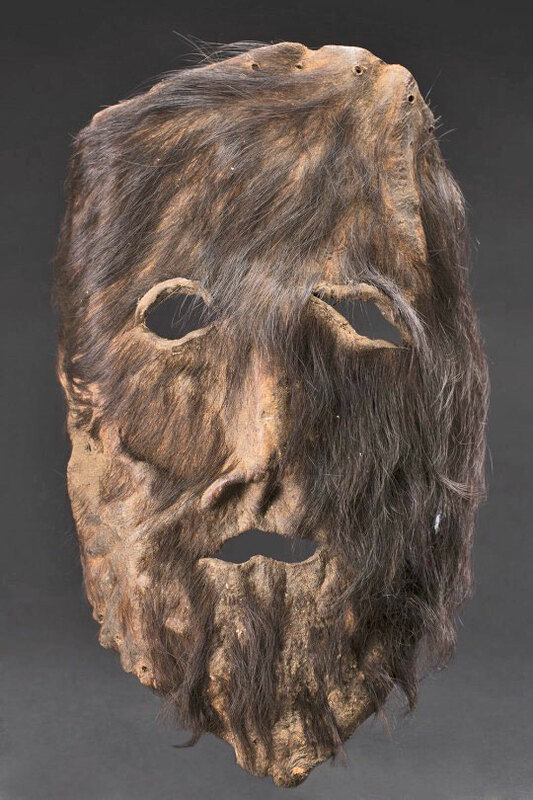 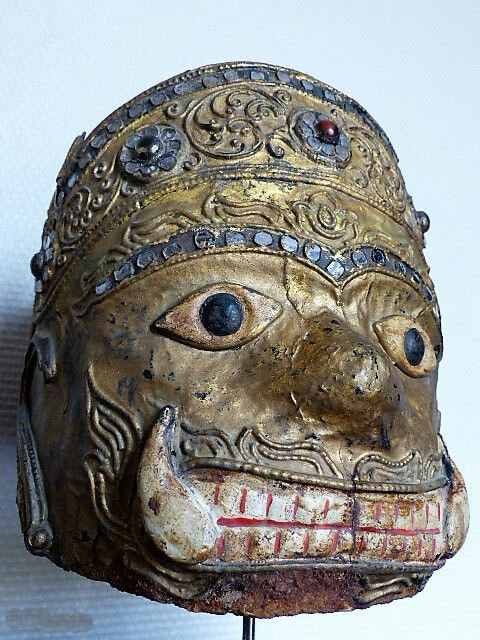 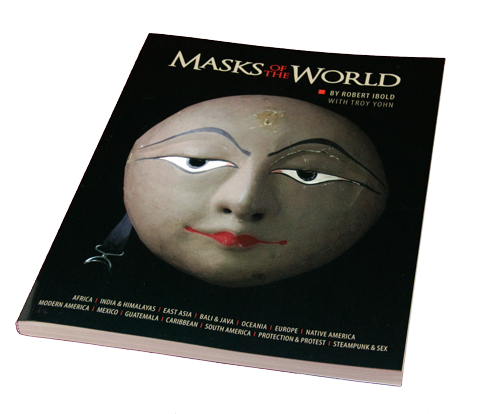 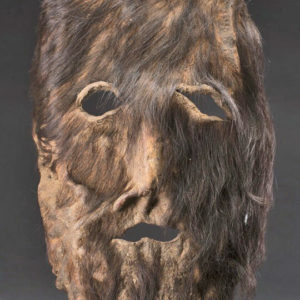 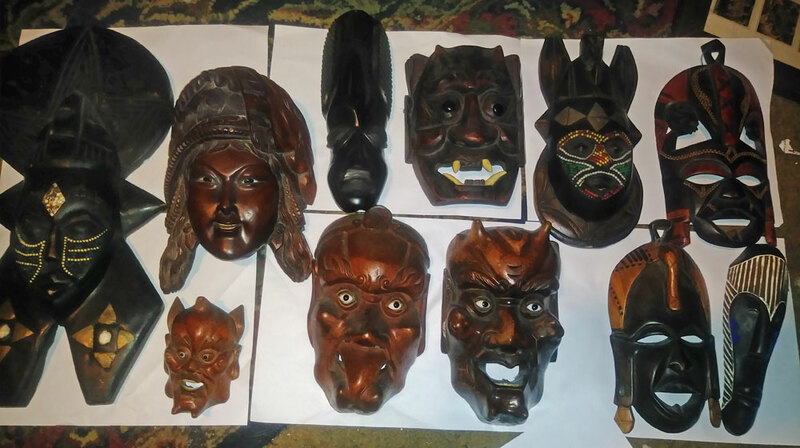 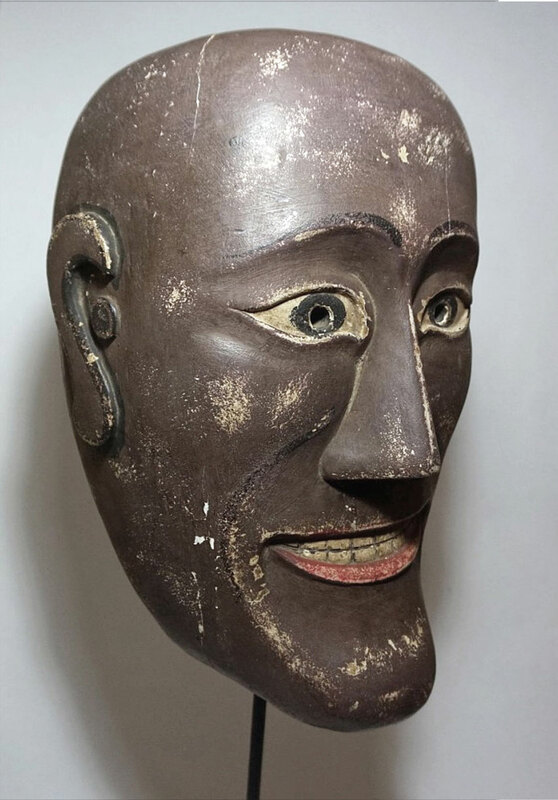 A: Masks made of hairy animal skin do show up occasionally in Nepal, Tibet, and even parts of Europe. 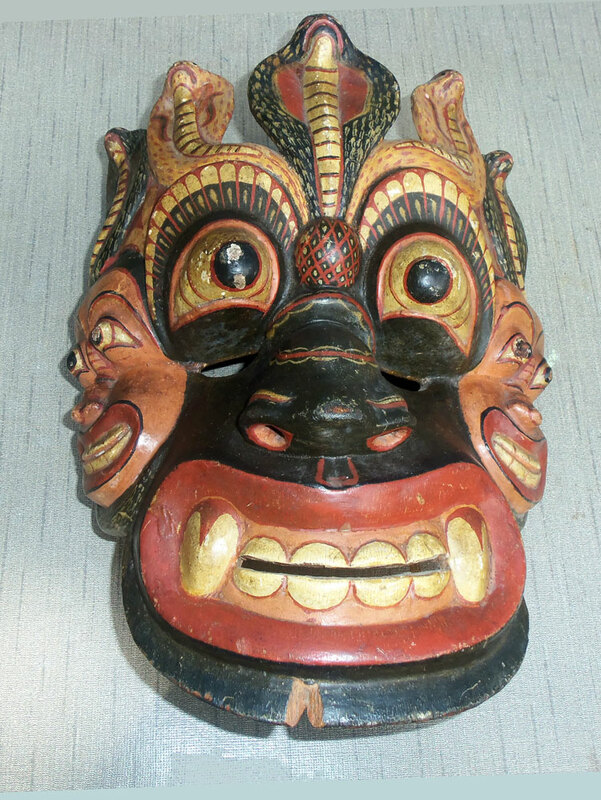 I want to put this one on the blog because it projects so much character and, dare I say it, Satanic Power! 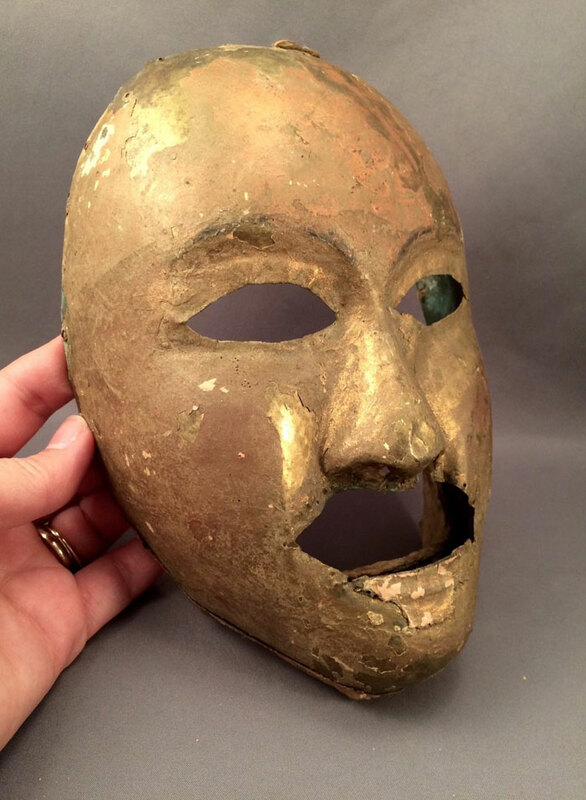 Hopefully one of our viewers will add a comment.